Have you ever felt a heavy burden on your heart to intercede or pray for your local community, a nation, or the world as a whole? Have you been troubled by political changes or do you feel the urge to lift others up in prayer? Intercessory prayer is where a person stands in the gap for another person and pleads with God (on their behalf) through persistent prayer. God wants us to stand in the gap for each other in prayer. Jesus Christ is an example of intercessory prayer because he stood in the gap between God and humanity. Therefore, as prayer intercessors, we can ask others to pray for our needs or over stressful situations. Jesus Christ, Himself is always interceding for us (Romans 8:34). This article aims to explain intercessory prayer and the need to pray for others, according to the will of God. Intercessory prayer requires a person to take on the burden of those who are going through difficult situations or trials. It is where the intercessor begins to pour out their heart for others. This prayer (below) is offered to bring comfort in times of grief and loss. Our Father, which are in heaven hallowed is Your Name. The Thy Kingdom come. Thy will be done in earth, as it is in heaven. 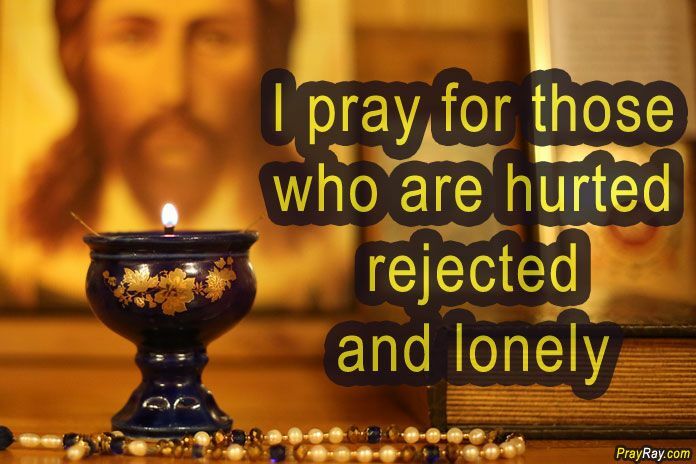 I thank you that you have chosen me to pray for others. But first, create in me a clean heart oh Lord and renew a right spirit within me so that my prayers for others will not be obstructed. Lord, your word says I can come boldly to the throne of grace and obtain mercy and find grace to help in time of need (Hebrew 4:16). Therefore, having this assurance, I pray for those who are hurting and have experienced loss and are in mourning. But God, You know every tear, wound, hurt and joy because there are seasons under heaven (Ecclesiastes 3:1-8). So, Lord will you heal the wounds and broken hearts of those in mourning? Will you send your peace, love, and presence? Father, draw near to your son/daughter as they face times of loss and hopelessness. Let them see your footprints during their trials and tests, knowing that it was then you carried them. Lord, please protect those whose lives have been wrongfully taken away by the cruel acts of this world. You said in Your Word that you love justice (Isaiah 61:8). Therefore, bring truth to those who do evil. In Jesus Name. Amen. There are times when we do not know what to pray for, and therefore we need someone to stand in the gap of the situation (intercede) or circumstance and God. The intercessor prays on behalf of a person or situation through the directing and power of the Holy Spirit. The intercessory prayer often changes the spiritual atmosphere of the situation, person, government or country. The weapon of intercession has the divine power to dismantle strongholds, arguments and every pretension that tries to revolt against the knowledge of God (2 Corinthians 10:3-5). Therefore, intercessory prayer is seeking God’s dynamite power in our weakness. It is the Spirit Himself, who intercedes for us with groanings that are too deep for words. “In the same way, the Spirit also helps us in our weakness; for we do not know how to pray as we should, but the Spirit Himself intercedes for us with groanings too deep for words; and He who searches the hearts knows what the mind of the Spirit is, because He intercedes for the saints according to the will of God” (Romans 8:26-27). When a person loses a loved one, it can be very traumatic. Emotions can become overwhelming for those experiencing loss, causing a period of grieving and mourning. However, at such times “Blessed are those who mourn, for they will be comforted (Matthew 5:4). This prayer is offered for those who have experienced loss. But it is essential first to recognize our Father who is in heaven and give thanks to Him for gifting intercessors with the burden to pray for others. However, to ensure intercessory prayers are answered, God must first create in us a clean and pure heart and renew a right spirit within us (Psalm 51:10). Intercessory prayer requires the intercessor to come boldly to the throne of grace. This prayer aims to bring comfort, peace, and hope in a time of such despair. This prayer is offered to ease the pain of the broken hearted and those who are crushed in spirit (Psalm 34:18). However, we can take comfort by repeating this prayer and by understanding that there are seasons under heaven and mourning and grief will not last forever because God’s comfort, peace, love, and presence will draw near. Pray for families, neighbour and local communities that unity will prevail (Psalm 133:1). Pray for world government leaders (for wisdom, knowledge, and understanding) and nations that they will acknowledge God’s authority over all (Proverbs 11:14). Pray for lost souls that salvation will come to them by the Power of the Holy Spirit (James 5:20). Pray against the increase in terrorist attacks in various parts of the world. Pray that satanic kingdoms will be dislodged and that ‘thy Kingdom Come, your will be done on earth as it is in heaven’ (Matthew 6:10). As Jesus Christ is an example of an intercessor in the New Testament (Hebrews 9:15), He is searching for those who will imitate and stand in the gap on behalf of others. In the Old Testament, Moses pursued God for Israel because God was angry with the Israelites an was going to destroy them (Exodus 32:10). Due to the relationship Moses had with God, He interceded and advocated on behalf of the Israelites. “The Lord relented and did not bring on His people the disaster He had threatened” (Exodus 32:14). Just as prophets such as Elijah, Samuel and Moses stood in the gap for the Israelites, God requires us also to intercede and advocate for others through intercessory prayer. The Lord is seeking those who will pray and intercede on behalf of others. “I looked for someone among them who would build up the wall and stand before me in the gap on behalf of the land so I would not have to destroy it, but I found no one” (Ezekiel 22:30). Jesus showed compassion for the multitude. Therefore, intercessory prayer enables us to show compassion for others. “But when He saw the multitudes, He was moved with compassion for them, because they were weary and scattered, like sheep having no shepherd” (Matthew 9:36). Intercessory prayer helps us develop a confident and intimate relationship with God. “This is the confidence we have in approaching God: that if we ask anything according to his will, he hears us” (1 John 5:14). It helps us bear one another’s burdens “Carry each other’s burdens, and in this way you will fulfill the law of Christ” (Galatians 6:2). Jesus Christ is an excellent example of intercessory prayer. He is our advocate and acts as our legal representative. Jesus Christ is willing and ready to pray on our behalf. “My dear children, I am writing this to you so that you will not sin. But if anyone does sin, we have an advocate who pleads our case before the Father. He is Jesus Christ, the one who is truly righteous. He is the sacrifice that atones for our sins—and not only our sins but the sins of all the world” (1 John 2:1-2). While on earth, Jesus healed and interceded on behalf of others. For example, Jesus interceded on behalf of Jarius, the synagogue leader, and his family because his daughter was dead. Jesus raised the 12-year-old girl from the dead. He took the girl by the hand and said to her “Talitha koum!” (which means, “Little girl, I say, to you get up! Immediately the girl stood up and began to walk around…” (Mark 5:41-42). Jesus intended to change the spiritual atmosphere of this situation. Jesus Christ is, therefore, the mediator between God and man. “For there is one God, and one mediator also between God and men, the man Christ Jesus” (1 Timothy 2:5). Being able to appreciate the purpose of intercessory prayer as a spiritual discipline will enable you to grow effectively as a Christian. Knowing the principles of intercessory prayer, why we pray for others and understanding that Jesus Christ is an example of interceding for others will also enable you to imitate the practices of Jesus Christ. Equally, you will develop a deeper relationship with God as well as achieve a higher level of self-discipline by the application of these key principles. Also read: PRAY FOR ME!